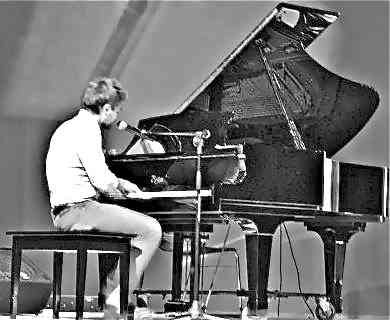 Piano World member "BPapo" bought the CVP-509 in polished mahogany in May 2010. The price was $7546, delivery included. He/she is in Suffolk County, NY. You were quoted $9670 for the polished ebony. Too high, I think. But dealers always ask for a high price. Your job is to make an offer. If BPapo can pay $7546, so can you. I had no clue the CVP-509 was that high. For crying out loud you can get an AvantGrand N1 for $1500 less than what the dealer quoted you and the N1 is a far superior piano, in a much nicer cabinet with vastly better speakers. Mac is right, make an offer much lower and if not, take a look at the Yamaha AvantGrand N1. The ensemble and screen functions of the CVP-509 really make it for a different buyer than the N1. vova28, are you interested in the straight-ahead piano features of the N1 or the extras on the 509? Your power to negotiate depends on several factors. I have no idea what wholesale on a 509 is, but I've heard of at least 2 price increases from Yamaha since early 2010. That's more likely to be hundreds instead of thousands, but that might give you a better idea of what current, rock-bottom numbers might get the deal done for you if you can't get down to the range of the good'ol "prices paid" thread. It's a different instrument, but the former Atlanta Yamaha dealer has a 501 listed at $3k. Cross country shipping and insurance on freight the size of the 509 can easily be $400+ whereas an around the corner delivery would be way less for a dealer. The eBay Florida seller you are referring to is NOT, I repeat IS NOT an authorized Yamaha retailer of Clavinovas. Beware, you will NOT have a warranty from YAMAHA Corporation of America if you choose to purchase a unit from him. I was told by Yamaha management that they actually purchased a Clavinova from him (eBay Florida seller) discovering that all the serial numbers were removed. Last edited by Grand Piano Haus; 09/21/11 12:17 AM. 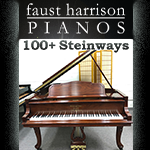 We proudly represent: Yamaha, Bösendorfer, Steingraeber & Söhne, Kayserburg, Ritmüller, Pearl River, CEUS, Disklavier Enspire, AvantGrand, Clavinova, & Live-Performance model-LX http://www.GrandPianoHaus.com. 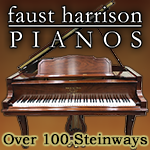 Grand Piano Haus, looking at the website that you have linked I assume that you are a piano dealer. If you are how much would you offer to me the CVP509. Yes, you are correct I am a piano dealer. Thank you for your interest in selecting a Yamaha Clavinova CVP509. I am sorry, I am not allowed to transmit my selling price on Yamaha Clavinovas in any form. 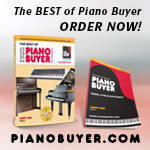 Please visit pianobuyer.com to learn about pricing on the CVP509. The question, vova, is ... how much are you willing to offer the dealer? 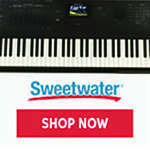 Now you need to post the price and where you bought it at the DIGITAL PIANO "PRICES PAID" thread in this forum. I am shopping for CVP509 by Yamaha. Would like to know what would be a good price to pay for one. About $10 .... its just a Tyros 3 without the hard drive and a dubious AP from the CLP370 added. Not exactly worth anywhere near the price asked anywhere ...don't believe the Hype. Given that the poster has already purchased the DP in question, now would be the time to refrain from further commentary of this nature. Let's wish him/her well with his/her purchase.